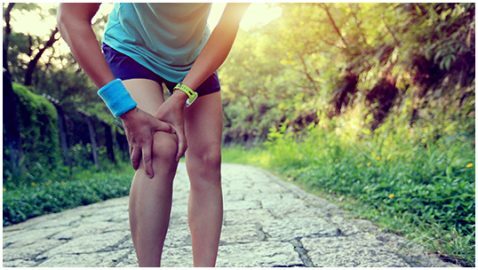 Our practice has a particular interest and expertise in treating knees, from mild knee pain to severe complex knee pain and surgical rehabilitation. This originated with the owner of the practice who has a longstanding outstanding reputation with knee surgeons across Sydney. All Physiotherapists at Dee Why Physiotherapy are trained in our particular approach to knee rehabilitation. As with all our Physiotherapy there will be a strong focus on hands-on manual therapy and massage techniques to treat your knee initially, which will allow exercises and stretches to be progressed faster and more effectively. Comments from leading Orthopaedic knee surgeons referring to our practice are below. Knee Physiotherapy will involve extensive hands-on manual therapy techniques to the knee and all the sore involved areas that require our attention to resolve them. Manual therapy resolves issues with muscles, ligaments, nerve, tethering and joint stiffness in the knee, lower leg, upper leg, hip, pelvis and spine which may all be significantly adding to the presenting problem in the knee. Nerve pathways are rarely reported as a problem however invariable tightened and involved to some degree in all knee presentations. Working along these nerve paths through the sciatic nerve in the upper leg and peronei nerve in the lower leg give dramatic improvements to knee function. We thoroughly address biomechanical problems, which are commonly present in the pelvic, hip and lower limb as part of our knee treatment. We treat the areas manually and use specific postural stretches to “release” and specific exercises to ‘tighten’ and regain control and fit orthotics if required. We implement taping techniques to retrain correct muscles and reduce stress on the knee during rehabilitation and modify training or work accordingly. We can also teach you and your family how to do this in between consultations. Sometimes a brace may also be indicated and we stock the best brands. Early treatment is always best. We encourage you to come and see us as soon as you are able to. Even when pain is severe there is no need to wait till the pain is has settled before starting Physiotherapy. We are here to settle the pain as fast as possible for you. We are highly experienced treating very painful joints and skilled at settling severe pain. To illustrate this, following knee surgery we are asked to start treatment the following day and achieve relief for our patients.